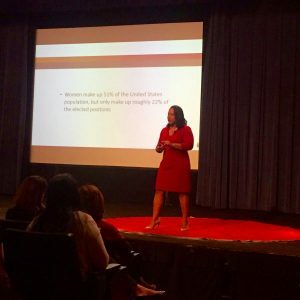 TEDxSMUWomen ~ An Empowering Message Comes at the Ideal Time | Millennial-Led Public Relations & Marketing Consulting Firm in Dallas | EJP Marketing Co. This Election Day was difficult for some and exciting for others. No matter your political affiliation, it’s important that we stand by one another and move forward together. Together, we CAN EMPOWER one another. 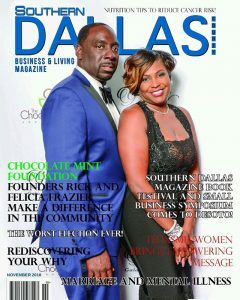 Below is a snippet of my article in this month’s issue of Southern Dallas Business & Living Magazine. On stands now! Get your copy at the Barnes & Nobles in Cedar Hill. 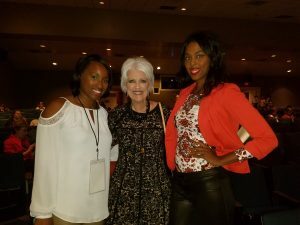 The Southern Methodist University “Technology, Entertainment and Design Conference,” more commonly known as TED (or TEDTalks), brought together Dallas-Fort Worth women of all ages, professions, and backgrounds for a day-long conference of empowerment, innovation, and diversity. 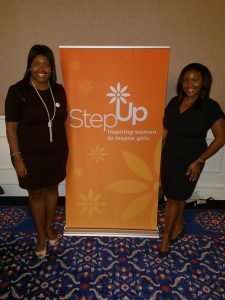 On Thursday, October 27th, local Dallas speakers, as well as national influencers shown via a live webcast from a concurrent TEDWomen event pushed you to explore issues impacting women, as well as our vast possibilities to spark change in our homes, families, communities and businesses. Dr. Margo McClinton Stoglin, Texas State Director of IGNITE, shed light on the need for more young women to pursue political office. Genesis Women’s Shelter CEO Jan Langbein asked, “What’s in your can of SPAM?” to innovatively probe the audience about what we can do to help others. TED is a nonprofit devoted to spreading ideas, usually in the form of short, powerful talks (18 minutes or less). TED began in 1984 as a conference where Technology, Entertainment, and Design converged, and today covers almost all topics — from science to business to global issues — in more than 100 languages. Meanwhile, independently run TEDx events help share ideas in communities around the world. TEDxSMU is an independently run TED-event series that brings together diverse ideas and innovative people from around the world and the corner to the SMU and Dallas communities.